It’s a Pot Party! LUSH and One Million Trees in One Day | Bright & Beautyfull! Not that kind of pot party! It’s a Lush Charity Pot Party to benefit the charity, One Million Trees in One Day, a three-day event in each of Ireland’s LUSH shops in which allll the money made from the sales of their Charity Pot, minus VAT, will go towards funding the reforestation of Ireland. 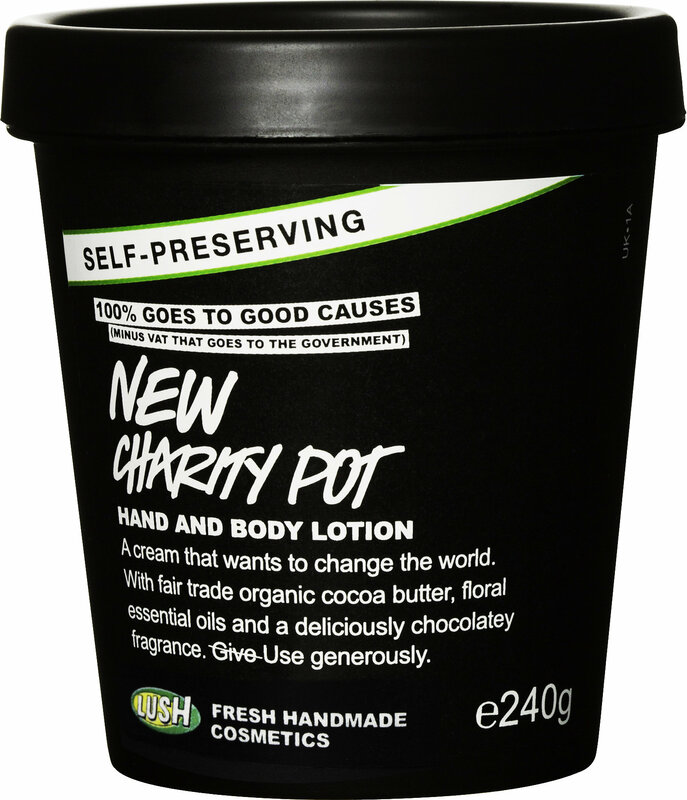 The Charity Pot is the cornerstone of Lush’s policy of lending a helping hand to charities and grassroots organisations that seek to do good in our communities. One Million Trees in One Day is a cross-border initiative whose goal is to plant that number of young, native trees in both the Republic and the North, to give our ecosystem a boost and help us increase our natural resources. So head over to a Lush near you and grab a pot. The initiative runs from Friday the 27th to Sunday the 29th, and the addresses of the five shops are below, following a re-post of an interview I did with Gabbi Loedoff last year. ‘Our hope is that we can create a model that shows a different way to do business,’ says Gabbi Loedolff, a buyer for the SLush Fund initiative. Having started working for the brand as a sales advisor and then manager of Lush‘s busiest London shop, she moved over to working on Lush’s wish list of projects — and somehow found the time to study Anthropology. Now with a new self-preserving formula, the little pot is still doing a lot of good: minus the VAT that goes to the government, the rest of the money made on the hand and body lotion goes to help grassroots causes whose focus is making the world better for people, animals and the environment. Over £7 million has been raised since 2007. In a word: wow. Gabbi spoke to us about how what she does contributes to the Charity Pot and about how one person can in fact make a difference. Gabbi, can we get some background on you, and your previous work? 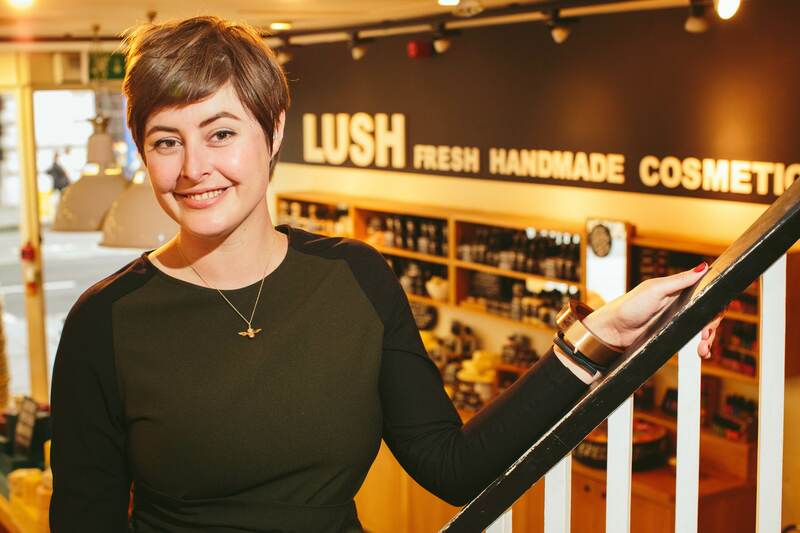 I grew up in South Africa and I started working for LUSH in 2001, whilst on a gap year before starting a new university degree. My initial plan was to travel around Europe, but as often happens, I ran out of money and decided to get a temporary job to save some additional funds. I applied to an advert in a newspaper, which led to a job at LUSH and, well, here we are in 2014! It was during this time that I got the amazing opportunity to manage our charitable giving and launch the Charity Pot in its initial form, so this is a project that is very, very close to my heart. After doing our charitable giving, I did more retail projects before moving into the buying team in 2011. This was near the start of the SLush Fund (Sustainable Lush Fund) and I was fortunate enough to be involved from the early days: creating application procedures, choosing projects to support and actually visiting the groups on the ground. I remember cornering Mark Constantine, the founder, back in my early days with LUSH to quiz him as to how we were supporting the actual producers of our ingredients, on the ground, and here I am, working on this very same question on a daily basis! Which SLush Fund ingredient are you the buyer for, and what projects you call your own? At the moment, I buy all cocoa and product packaging for LUSH, but have been involved with various other materials over the last few years. The way the SLush Fund is set up, I get to be involved with all the projects even if I do not directly buy the material at the end. One of the projects I am most closely involved with is the cocoa butter from Comunidad de Paz San Jose de Apartado, a Colombian Peace community. We first came across the Peace community through our colleague Paulo Mellet, the man behind the SLush Fund. He told us about this amazing group, working to live a self-sufficient life of peace in an area riddled with conflict, and the challenges they faced. It just so happened that they grow cocoa, which they struggle to sell on the local market, and we use 100s of tonnes of cocoa butter a year. We had been talking for a while about how to ensure full traceability on our cocoa and this seemed the perfect opportunity to not only support an amazing group of people but also explore a new way of buying cocoa. What better way to support people, as a cosmetics company, than trade based on truly fair prices? We agreed to buy a 25 tonne shipment, which we had sent to Europe to be processed into cocoa butter and cocoa powder. The relationship with the Peace community has continued to grow and thrive and to date we have bought about 7 shipments of beans from them. How do you find new vendors? Most of our partnerships to date have been people that have come recommended to us through the networks we work with. Some of the SLush funding has been to existing suppliers, like the Ojoba Collective that produce our shea butter, while others are completely new relationships. When we are exploring supporting a new project, we have an application process which includes a detailed but straightforward application form. This application covers the aims, the proposed environmental, social and economic outcomes of the project, the background of the people behind it and we do reference checks too. The budgets need to be quite detailed — we have a limited amount of money and like to ensure that it is being used as efficiently as possible. Can you talk about a day-in-the-life of someone who is producing a product you’re working with? The Ojoba Collective in the Bongo Soe region of Ghana consists of around 400 women. It’s a very, very dry region and work is scarce. Before starting the cooperative, many of the women had to leave their families to travel south to try to find work. When we first started working with the group, they had about 40 members. Now, more than 400 women are part of the collective. The women will finish their chores at home before coming to the processing site. Here they wash the shea nuts before laying them in the sun to dry. The nuts are roasted and ground before the real work begins: they beat the shea liquid, from the nuts that have been ground, until a creamy butter separates from the liquids. This butter is then filtered and boxed up ready to ship out. The profits are shared equally amongst all the women — even those who have been unable to contribute during a period due to poor health or those that have become too old to work. They attend literacy classes and have just started a shea tree nursery with support from the SLush Fund. By creating their own shea nursery, they are securing a source of Shea nuts for the future. How do you see this sort of initiative growing over the next few years? Our hope is that the projects we have already started will all become financially independent — generating enough income to run themselves without further support — and that we can continue to start new projects around the world. The absolute ideal for us would be to end up in a situation where all our materials are not only sustainable, but regenerative too. Our North American team have started their own SLush project, which is very exciting. For the projects themselves, my feeling is that they will continue to grow and that the amount of people benefiting from the work they do will increase. It can often feel that, as one person, it can’t be possible to make a difference in the world — can you share some inspiring thoughts or a story that would encourage folks to keep the faith? I am regularly amazed by just how much of a difference one person can make, and how wide their reach can be. One example is our friend Paulo Mellet, who sadly recently passed away. A dedicated activist and believer in permaculture, it was his inspiration and vision that brought about the SLush Fund. As a company, we were already working hard on sustainable and transparent supply chains, but under his guidance and through his vision, we have taken this so much further. Another great example is a gentleman called Paul Yeboah from Ghana. He started the Ghana Permaculture Institute demonstration site on a small piece of degraded land. He now has a thriving site that offers permaculture training, grows mushrooms, processes moringa seeds into oil and also very visually illustrates to the local community how you can regenerate soil without using pesticides or fertilisers. They offer a micro financing scheme to women to enable them to start their own businesses.